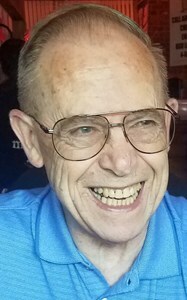 Francis "Frank" H. Truax, 76, of Schenectady, passed away peacefully Tuesday, September 11, 2018. Born on August 6, 1942 in Schoharie, Frank was the son of the late Francis A. and Marion (Adair) Truax. He was the devoted husband to the late Peggy Ann (Cline) Truax. Together they were married 50 years until her passing on May 3, 2018. Loving father of Katrina Truax and Eric F. Truax. Cherished grandfather of Ashley, Selena, Patrick and Braylee. Dearest brother of Stan Truax and Frannie Truax. Brother-In-law of the late Charles Cline, Jr., the late William Thomas Cline and Maureen Dominski. Also survived by nephews; Scott Truax, Tim Truax and Kenji Cline and nieces Naomi Bowlin and Susan Dominski. Frank was raised in Oneonta, where he attended local schools and received his education. He enlisted in the Marine Corps in 1963 and received an honorable discharge at the rank of SGT (E-5) in 1966 for his faithful service. Frank resided in Schenectady where he and his wife raised their family. For 40 plus years, Frank was employed by the State of New York as in various capacities. He retired as a computer operator from the State Comptroller's Office in the 90s. Frank was a simple, dignified man who in his pastime enjoyed his Western films, old movies and country music; but most of all, he was a family man. He especially cherished the time he spent with his grandchildren. Frank enjoyed traveling to destinations with his wife Peggy and the family. Frank and Peggy always shared a dream after retirement of traveling cross country. Although we miss our mom, dad and papa dearly, we find comfort in knowing that they are together in heaven for their 50th anniversary which would have been celebrated on Friday the 14th of September. Something that meant so much to the both of them, especially Frank these past few days of his brief illness. Now, they are truly together for ever. Relatives and friends are invited to call 10 a.m. - 12 p.m. Monday, September 17th, at New Comer Cremations & Funerals, 343 New Karner Rd, Colonie, where prayers will be offered at 12 p.m., in the funeral home. Interment will follow in Memory Gardens, Colonie. In lieu of flowers, the family requests that donations be made to the American Cancer Society, 1 Penny Ln Ste 1, Latham, NY 12110 in memory of Frank & Peggy Truax. To leave a special message for the family, please click "Share Memories" above. Add your memories to the guest book of Francis Truax. My thoughts are with both of you at this time. Always remember that your dad and grandfather will be with you always.